The Auschwitz Institute for Peace and Reconciliation (AIPR) marks March 24, 2019 as Argentina’s National Day of Remembrance for Truth and Justice (Día Nacional de la Memoria por la Verdad y la Justicia). The annual public observance represents a time to reflect on the legacy of the campaign of state-sponsored terror under the country’s military dictatorship from 1976 until 1983. The day serves as an opportunity to remember and commemorate the victims and their families. March 24, the date of the observance, was chosen as it coincides with the initiation of the 1976 coup d’état, which installed the military junta that would be responsible for approximately 30,000 forced disappearances over the following 7 years. To mark the occasion, a diverse group of organizations and individuals, led by the Mothers and Grandmothers of the Plaza de Mayo (Madres and Abuelas de Plaza de Mayo), assemble in the Plaza de Mayo in Buenos Aires to demonstrate. Many carry photographs of friends or family members who were disappeared as part of the dictatorship’s terror while others display signs with written messages. Notably, these demonstrations have called for investigations into the circumstances surrounding the numerous disappeared citizens whose fate remains unknown as well as for the continuing to strengthen the national government’s policies protecting human rights. On this Day of Remembrance for Truth and Justice, the Auschwitz Institute takes the opportunity to commemorate all whose lives were forever changed by the murders, tortures, and disappearances carried out during the cruel dictatorship in Argentina. 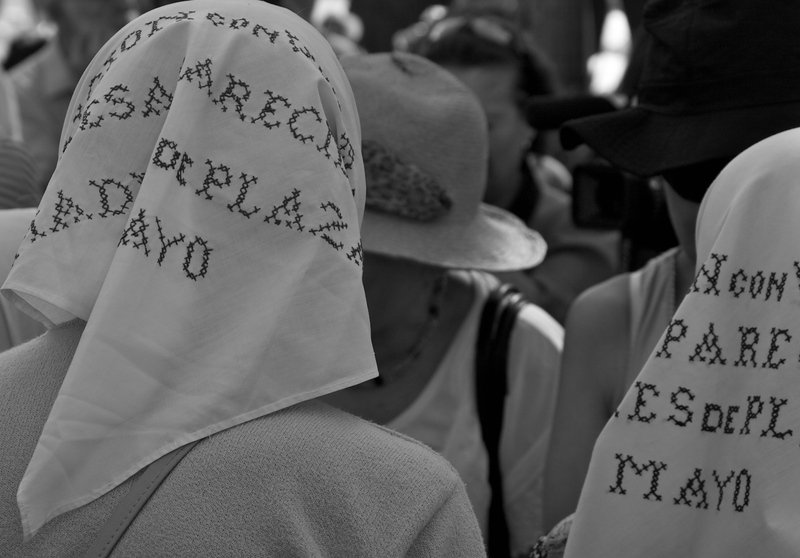 Equally, AIPR commends the continued efforts of groups such as the Madres and Abuelas de Plaza de Mayo in seeking justice and accountability for the atrocities that took place during this period. With this in mind, the Auschwitz Institute emphasizes the necessity of reconfirming the political will demonstrated by the countries of Latin America towards strengthening human rights in the region by advancing measures for truth, justice and memory. AIPR also encourages continued and active participation in regional forums such as the Latin American Network for the Prevention of Genocide and Mass Atrocities, as well as the coordinated efforts of its member countries that promote the defense of human rights and the protection of vulnerable populations.